Need to get more exercise? Don't buy a treadmill, adopt a dog! They're like personal trainers on the end of a leash. Dog owners like you already know how energetic pups never get tired of going for walks. But thanks to them, you're a healthier person and you've made more friends in your neighborhood! 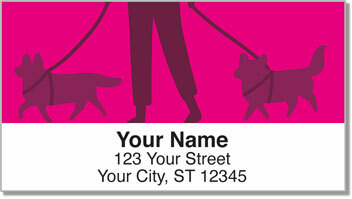 Walk the Dog Address Labels from CheckAdvantage are a fun selection that features silhouettes of dog walkers and their exercise buddies. 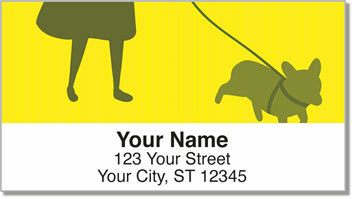 These useful labels will save you the hassle of writing out your return address when preparing outgoing mail. All you have to do is peel and stick. That means there's more time to take Sparky for a stroll! 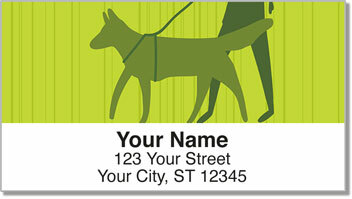 Order your own Walk the Dog Address Labels now! 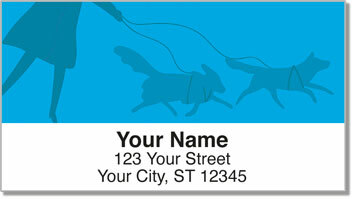 This delightful doggie design is also available as a set of matching personal checks.